Halachic cleaning is very different to Pesach cleaning. While it is very nice to paint walls, and purchase new linens and curtains, this is completely not required by any halachic authority. Be ready, willing and honest with yourself re what you need, what you use, and what use something has. Decluttering is not ONLY an excuse to be out with the old, and in with the new. Be smart- know your budget and your finances. You cannot throw too much out in the hope that you will be buying new. Mentally prepare yourself to Declutter. Take on room by room and don’t aim too high- Rome wasn’t build in a day! You will most probably get the bug while you do it but don’t expect to have the whole house done in a day. Put on comfy clothes, good music and make sure you have eaten so you have energy. Coffee definitely helps. The desk should be paper free and bins emptied from overflowing paperwork. A plant gives you life and a picture/ painting helps to create a calming working space. Go through paperwork. Whatever can be thrown away, get rid of. Make dividers for your paperwork and label immediate things to do, semi immediate and important manuals/information that should be filed. Your desk should display a photo frame, a phone charger, a small plant and your laptop. Everything else looks messy. The usual culprit of clutter lies within the piles of clothes, shoes and jewelry. If something sits in the cupboard and never gets used, its time to donate. One doesn’t need 10 white pants that they maybe wear one of. You will feel so good storing clothes that you do not wear anymore but see your self wearing somewhere in the near future. Keep your wardrobe seasonal and store the rest. Get rid of a million old toothbrushes. Make sure your medicine cupboard is updated and your are not storing medicine out of date. There is no point having an appliance that hasn’t been used in 10 years and is taking up the space of your precious kitchen cupboard. If something hasn’t been used in years there is no reason to store it. Plastic Tupperware- make sure that all the lids match the containers otherwise get rid of loose ones. Spice racks- again, check sell by dates and see if you even use half of them. Alternatively you can put your spices in your freezer door if you have the space to do it freeing up a shelf in your cupboard. Zip lock bags are great at putting the packets of open grains and lentils bought from the supermarket and prevent spilling as well as bugs from entering the bags. 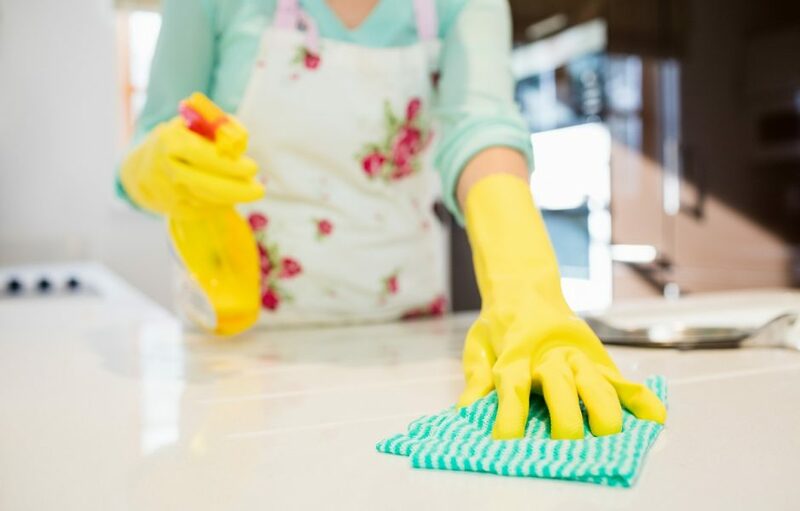 Under the sink- make sure you have a sufficient amount of cleaning products- bleach, kitchen towels, rags, window cleaner, general cleaning spray, gloves, as well as meat and milk sponges. Having a toy chest is a great way to divide all the toys. For example all the Lego in one drawer and the puzzle pieces in another. Go through the toys and see if there is anything your kid doesn’t use, or you could donate to some needy families. For example, an old doll, or some blocks. Its also good to go through the underwear drawers. All missing socks to get rid of and the rest matched up. Stores like Max Stock sell inexpensive containers that you can store clothes from different ages. For example, boys aged 2-3 winter. In the winter store the fans and in the summer, store the rugs, and heaters. Bikes should also be here. Your dining room may consist of couches, a coffee table, a television, bookshelves, and a dining set. That alone take up a lot of space! Adorn minimally. Keep your dining table and for that matter kitchen table EMPTY (flowers allowed 🙂 ). This immediately creates more space. Coats should be hung either on a rack in the hallway or in the bedroom cupboards and not on the back of the chair. Tissues and books can sit on a coffee table but never clutter the dining table. Consists of a washer, a dryer, a dustpan and brush and a sponga stick. Laundry powder too. If you have the space, hang the washing in the balcony area when there is sun and not all over your living room. Every room has its purpose. Your bedroom need not be a dumping ground for kids toys and piles of washing and paperwork. If you keep things in the room they are supposed to be in, this makes decluttering and cleaning a million times easier! Finally, get your family to chip in. Make sure each family member (besides small children) are able to change their own bed sheets, and wash their plate up after they have eaten. Or at the very least to put the peanut butter back in the cupboard and the knife in the sink. Once you are organised, and cleaned, if you do have a budget it is always nice to have great storage pieces and a freshly painted wall.